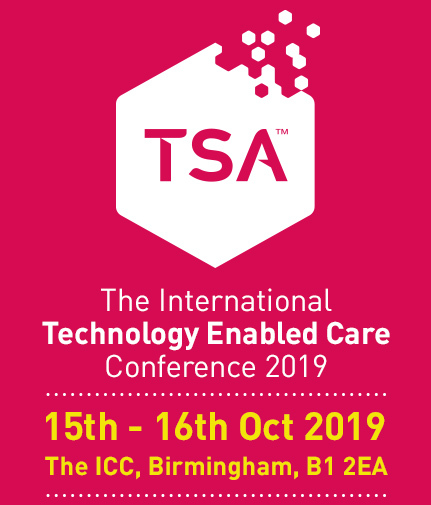 Can you demonstrate how rapidly developing digital technologies can be made available more widely to help a greater number of people to manage their health & wellbeing with the potential to reduce the pressures on the NHS, housing and social care. Innovation is a key factor in the successful implementation of an integrated and advanced telecare model. Atenzia has set-up a personalised and preventive service through the remote intervention of a multidisciplinary team combined with new technological solutions. Learn how this cost-effective system can be applied to address the care needs that are demanded by different profiles. Come and learn how Brain in Hand is helping councils think outside the box of traditional support pathways by offering users support 24/7 from their mobile phone. BiH offers solutions in transitions, education, employment, supported living and mental health pathways. We will explore case studies in education from Bolton and community mental health in Kirklees Council. With a return of investment in Kirklees of £9.62 for every £1 invested can you afford not to come? Prevention and self-management are key to a sustainable health and social care service. Join us to hear how Loreburn Housing Association, Dumfries and Galloway’s long-established supported housing provider, are using ARMED (Advanced Risk Modelling for Early Detection) to help predict those at risk of falling, to enable faster support and better self-management. Discover how the use of wearable technology and sophisticated predictive analytics, developed with Edinburgh Napier University, are giving residents and staff a wealth of information about muscle mass, hydration, heart rate and inactivity. Hear how residents are becoming more active and aware of their wellbeing, with ARMED providing a new level of reassurance, not just to residents, but also to their family and carers. The Quality Standards Framework (QSF) has been developed as an independent audit and certification programme for the Technology Enabled Care industry. QSF is available to all organisations in the sector – service providers, suppliers, associations, emergency response services and third sector organisations. Come along to hear about the recent developments to the Quality Standards Framework and how it links to standards developments taking place in Europe. Hear how a national service provider is embracing the changes that the Quality Standards Framework brings. You will hear how the Quality Standards Framework has been used as a tool to support people and process development. Also hear how the QSF has been embedded in to its core business services and how the QSF is supporting continuous improvement within the organisation. Also hear on how the Quality Standards Framework has recently been endorsed by the National Fire Chiefs Council (NFCC), and how this national service provider is embracing the changes that this bring to the sector. Come along to hear about the current developments on standards within the EU, and the effects that they will have. Delegates have the opportunity to discuss and influence the future agenda and road ahead for the following two years. Delegates are invited to prioritise the services that should be worked on in the next phase of CEN TC 431. Also take this opportunity to put your questions to the group. Design Thinking is a powerful process of problem solving that begins with understanding unmet customer needs. From that insight emerges a process for innovation that encompasses concept development, applied creativity, prototyping, and experimentation. When design thinking approaches are applied, the success rate for innovation improves substantially.